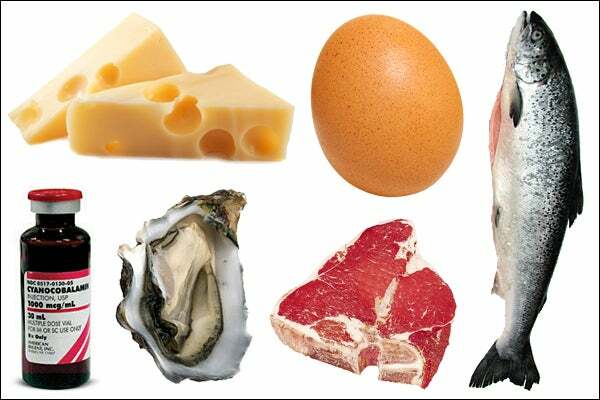 Vitamin B12: The Ultimate Mood-Enhancer? Vitamin B has a lot of hype behind it as the feel-good vitamin. And rightfully so, since most of us know of its energizing effects from downing Emergen-C — sort of the grown-up Kool-Aid that has seven types of B (along with immune-boosting C, of course) — after a late night or just, well, a hectic 9 to 5 (plus some). And there’s a legit physiological explanation for this: “Vitamin B12 is important for optimal functioning of your brain and nervous system, the formation of red-blood cells, and is also connected to energy production and mood regulation,” says Frank Lipman, M.D., an integrative and functional medicine physician and founder of Eleven Eleven Wellness Center in New York City. But because us humans don’t make B12 on our own, there are reasons why your levels might be less than stellar — the most notable medical explanation being a type of anemia, which can cause fatigue, depression, low-blood pressure, and poor memory. “In food, [vitamin B12] is mostly found in those foods related to animal products — eggs, beef, crab, lobster, fish, cheese — so vegetarians and vegans are at risk for low levels, as well as people over 50 because they tend to have decreasing levels of the stomach acid needed to absorb B12,” says Lipman.